I am currently a Research Engineer at FXPAL. I received my Ph.D. in Electrical Engineering at the University of California, Santa Cruz in 2016 under the supervision of Professor Roberto Manduchi in the Computer Vision Lab. I received my B.S. and M.S. degree (Computer Vision Lab at SKKU) in School of Computer Engineering at the Sungkyunkwan University (SKKU), Korea in 2003 and 2005, respectively. My research interests are in the area of computer vision. I am interested in 3D reconstruction, scene understanding and recognition. We present a system for capturing ink strokes written with ordinary pen and paper using a fast camera with a frame rate comparable to a stylus digitizer. From the video frames, ink strokes are extracted and used as input to an online handwriting recognition engine. A key component in our system is a pen up/down detection model for detecting the contact of the pen-tip with the paper in the video frames. The proposed model consists of feature representation with convolutional neural networks and classification with a recurrent neural network. We also use a high speed tracker with kernelized correlation filters to track the pen-tip. For training and evaluation, we collected labeled video data of users writing English and Japanese phrases from public datasets, and we report on character accuracy scores for different frame rates in the two languages. We present an end-to-end system for structure and motion computation in a Manhattan layout from monocular videos. 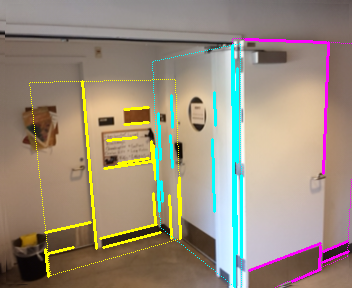 Unlike most SFM algorithms that rely on point feature matching, only line matches are considered in this work. This may be convenient in indoor environment characterized by extended textureless walls, where point features may be scarce. 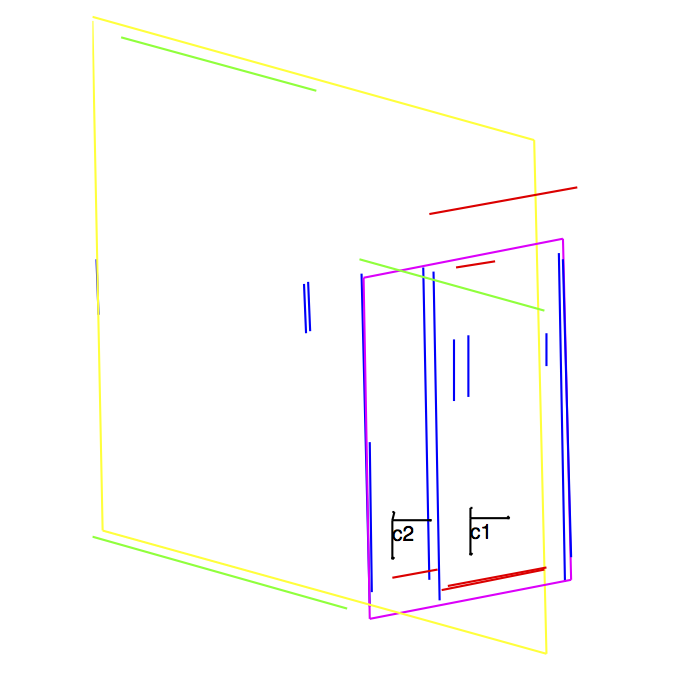 Our system relies on the notion of “characteristic lines”, which are invariants of two views of the same parallel line pairs on a surface of known orientation. Experiments with indoor video sequences demon- strate the robustness of the proposed system. 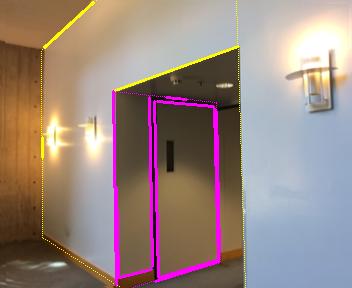 Traditional structure from motion is hard in indoor environments with only a few detectable point features. These environments, however, have other useful characteristics: they often contain severable visible lines, and their layout typically conforms to a Manhattan world geometry. 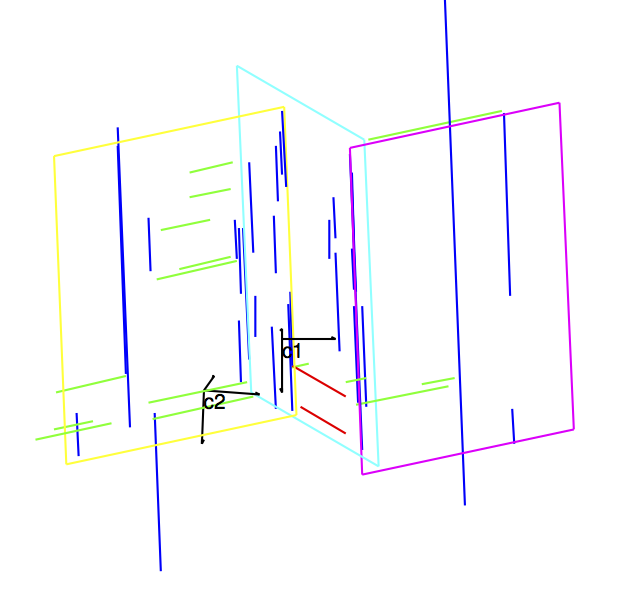 We introduce a new algorithm to cluster visible lines in a Manhattan world, seen from two different viewpoints, into coplanar bundles. 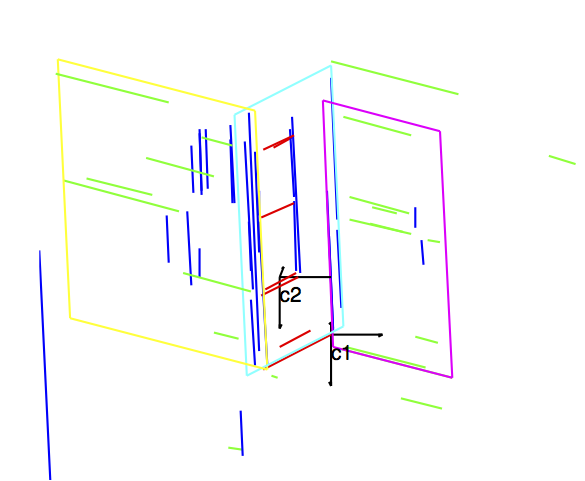 This algorithm is based on the notion of “characteristic line”, which is an invariant of a set of parallel coplanar lines. 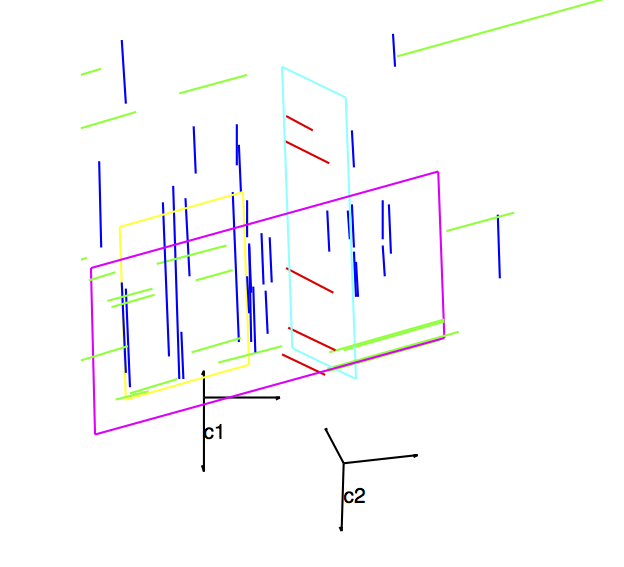 Finding coplanar sets of lines becomes a problem of clustering characteristic lines, which can be accomplished using a modified mean shift procedure. The algorithm is computationally light and produces good results in real world situations. 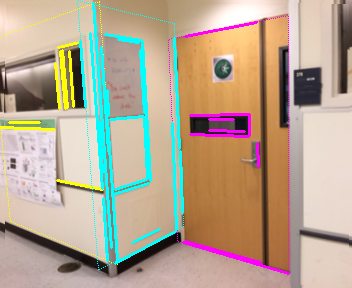 · C. Kim and R. Manduchi, "Indoor Manhattan Spatial Layout Recovery from Monocular Videos via Line Matching," Computer Vision and Image Understanding, 2016. · T. Dunnigan, J. Doherty, D. Avrahami, J. Biehl, P. Chiu, C. Kim, Q. Liu, H. Tang and L. Wilcox, ”Evolution of a Tabletop Telepresence System through Art and Technology”, ACM Multimedia 2015. · C. Kim, P. Chiu and H. Tang, "High-Quality Capture of Documents on a Cluttered Tabletop with a 4K Video Camera," Proceedings of ACM DocEng 2015. · C. Kim and R. Manduchi, "Planar Structures from Line Correspondences in a Manhattan World," in 12th Asian Conference on Computer Vision (ACCV), 2014. · C. Kim, P. Chiu and S. Chandra, "Dewarping Book Page Spreads Captured with a Mobile Phone Camera," CBDAR, 2013. · C. Kim and P. Milanfar, "Visual Saliency in Noisy Images," Journal of Vision 13(4):5, March 11, 2013. · C. Kim and P. Milanfar, "Finding Saliency in Noisy Images," SPIE Conference on Computational Imaging (8269), January 2012. · J. Y. 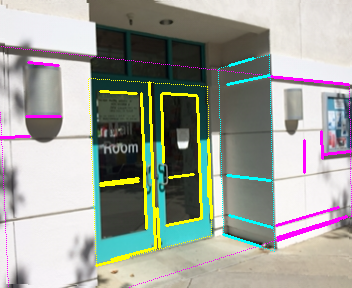 Park, C. H. Kim, J. K. Na, J. H. Yi, and M. Turk, "Using structured light for efficient depth edge detection," Image and Vision Computing, Vol. 26, Issue 11, pp 1449~1550, 2008. · J. Y. Park, C. H. Kim, J. H. Yi, and M. Turk, "Efficient depth edge detection using structured light," Lecture Notes in Computer Science, Vol. 2869, pp. 413-420, 2005. · C. H. Kim, J. Y. Park, J. H. Yi, and M. Turk, "Structured light based depth edge detection for object shape recovery," IEEE CVPR Workshop on Projector-Camera Systems, 2005. · J. H. Yi, D. Y. Lee, C. H. Kim, "A 2D plane of RGB color space for color histogram based skin color segmentation," 6th Asian Conference on Computer Vision, pp 926~930, 2003.